There are many iconic wedding dresses that stand the test of time. 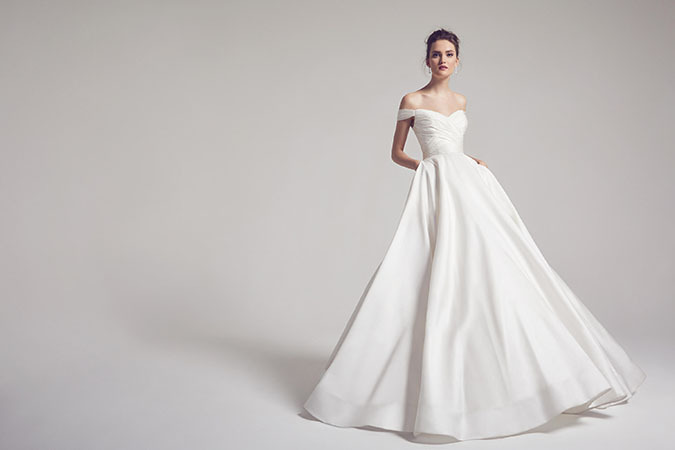 Think Grace Kelly, Audrey Hepburn, and Kate Middleton, whose wedding day attire has firmly cemented itself in the history books, with brides-to-be drawing upon such dresses for inspiration. Popular culture also occasionally showcases a gorgeous dress that captures the hearts of brides-to-be, and we are pleased to say that the most recent example has all the makings of a classic. Viewers of the show ‘Scandal’ will now be familiar with ‘The Berkley’; a beautiful gown by designer Anne Barge. 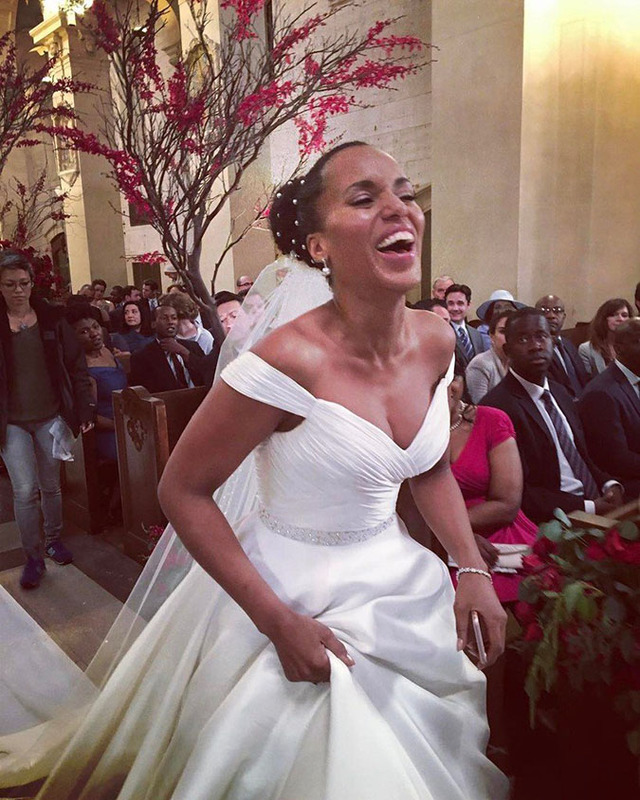 Kelly Washington’s character, Olivia Pope, was recently married in the dress in the show’s one-hundredth episode, thus creating a whirlwind of attention around this timeless design. The best news is that women can now wear this dress on their own wedding day, as it is exclusively available at The Bridal Showroom in Dubai! Elegant and everlasting, The Berkley starts with a stunning off the shoulder neckline of ruched silk satin chiffon. The center features a flattering natural waistline which meets a voluminous ball gown skirt made of Italian Silk Kalika, which is incredibly luxurious to the touch. The skirt has side seam pockets and ends beautifully with a chapel train. You will definitely wow everyone for years to come in this timeless gown. Apparently, Lyn Paolo, Scandal’s costume designer, chose the Berkeley with a special style in mind. She was looking for a dream gown to deliver an unforgettable moment in the show, and the dress did just that. 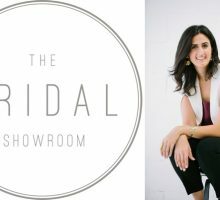 The Bridal Showroom, who this year celebrated their fifth anniversary, are long-standing BCME vendors who promise a stunning collection of hand-picked gowns that appeal to all tastes. 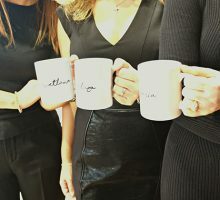 They pride themselves on service and have recently introduced their very own ‘Alterations Atelier’, who can ensure that your dress fits perfectly, even if it was bought elsewhere. Whether you are interested in The Berkley or would like to view the rest of the collection, we definitely recommend getting in touch and making an appointment. To make an appointment at The Bridal Showroom, call +971-4-4579400. 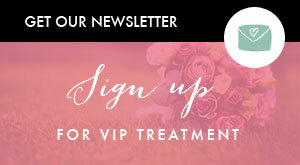 You can also email [email protected]. The Bridal Showroom is located in Suite 909, JBC2, Cluster V, Jumeirah Lakes Towers. You can also head straight to their website.